Viewing Bodies Binocular with dual diopter adjustments. Inclined 45 degrees and rotatable 360 degrees. Boom Stand Base dimensions: 254mm x 254mm (10" x 10"), Vertical Post - 365mm, Horizontal Post - 518mm. Physical weight 37 lbs. 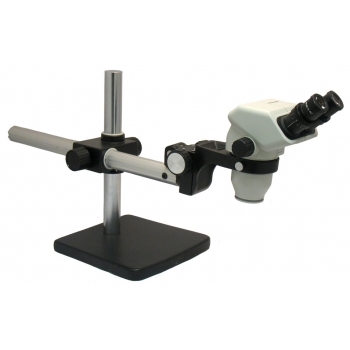 Click the button below to add the Unitron FS30 Stereo Microscope on Boom Stand to your wish list.